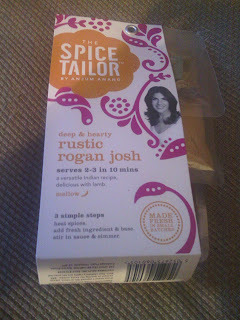 I won a pack of Rustic Rogan Josh from The Spice Tailor on Facebook on 26th June 2012. I received it on 17th July 2012. It was really easy to make and I must say it was delightfully delicious! Would love to try more of the range.